*Indicates Gnostic texts included in the Nag Hammadi collection. Most of the dates in this timeline are approximations due to the difficulties of dating events and texts in the first two centuries. 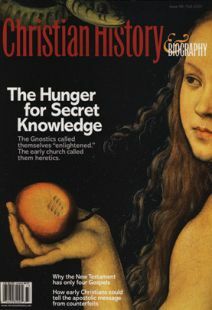 Dig deeper into this issue's theme.